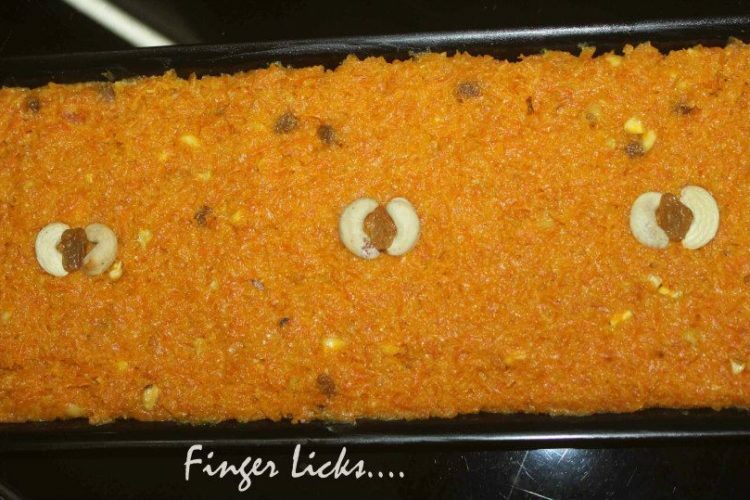 Carrot halwa/Gajar ka halwa is an Indian dessert recipe that is originated from northern part of India. The main ingredients of this dessert pudding are grated carrot and milk. Basically, Carrot halwa is prepared during the festival occasions like Diwali, Ganesh chathurthi and navaratri. In recent times, it is quite popularly served with vanilla ice cream slab. It is an epitome of finest Indian sweet is a full cream milk to make halwa which is not overly sweet. The ghee and cardamom powder gives it an unparalleled aroma and rich texture. If i remember correctly, carrot halwa was the first dessert i prepared during my college days. Perhaps because of the simplicity of the recipe and taste it delivers. I use to prepare gajar ka halwa and take this to my college feasts. It gave a huge hit as i use to serve it with vanilla ice cream. I totally agree with the fact that gajar ka halwa is high in fat and sugar level. However, carrots are very good source of vitamins and minerals. Also, carrots are consider to be world’s healthiest vegetable. Moreover, carrots improve the vision and reduce the risk of cancer. It also slows down the ageing and gives a glow to your skin. Whether you want to satisfy your sweet tooth, excite your kids or entertain guests, serve this classic, rich, creamy sweet as dessert and watch them helping for seconds. Heat ghee in a thick-bottomed pan, add grated carrots and sauté for five minutes. Add milk, green cardamom powder and cook on medium heat for five to six minutes or till the milk evaporates and the carrots are cooked well. Stir in the sugar and cook for two to three minutes or till the sugar melts and mixes well, stirring continuously. Continue to cook for two minutes more. Garnish with chopped cashew nuts, sliced almonds and raisins. Serve hot or cold.